Our Festival is mainly run by volunteers, which is why we need of a lot of support! Regardless of if you want to help out for one, two, or all three days – anyone who identifies with plant-based living is welcome! But don’t worry – it’s not all hard work – food and fun are also a big part of things. If you would like to help out, registration will open shortly. In the meantime, you can contact us at helfen[at]veganes-sommerfest-berlin.de. Setup the Festival area on Friday, dismantle the Festival area on Sunday: You will help with the setting up and dismantling of the stalls and seats. Directing cars/driveway: You will guide exhibitors and their vehicles to their parking slots. Beverages Stall: You will help sell beverages to thirsty visitors. Milk stall: You will be presenting examples of how diverse, tasty, and varied milk alternatives are. Lecture tent: You will help our team in the lecture tent with preparations, technical support, and taking care of our speakers. Bouncing castle: You will supervise the bouncing castle and ensure that no kid falls off. Supervision of the square/waste management: You will collect garbage in order to ensure that the square stays nice and clean. Children’s tent: You can show your artistic talents and paint the faces of our small visitors. Tombola: You will sell tombola tickets and distribute the prices. Your reward: many smiling faces. The Workshop Tent: You will help to run a smoothly functioning workshop tent. 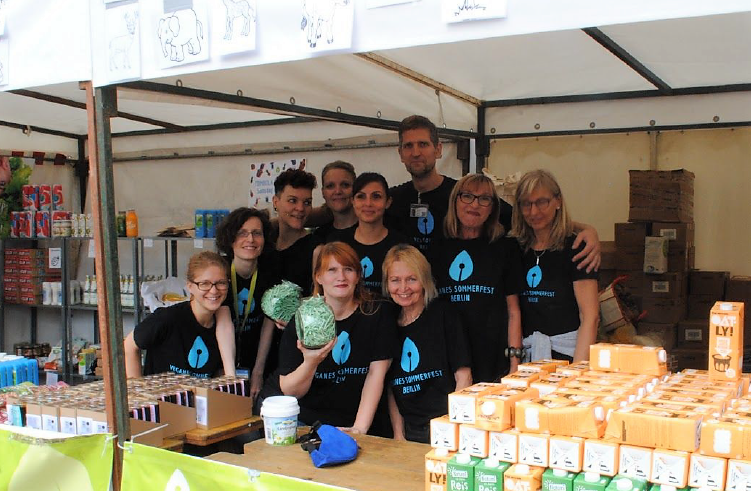 Contact us via helfen[at]veganes-sommerfest-berlin.de. Thank you!